During 2018, Barloworld partnered with Habitat for Humanity, a non-governmental organisation (NGO) committed to alleviating poverty by providing adequate and affordable shelter. Beneficiaries from Lawley Township, home to one of the most marginalised and poor communities in the city, with high unemployment rates were identified. The partnership also included the Gauteng Department of Human Settlements, responsible for the allocation of tenure for the building of houses. Our purpose is to inspire a world of difference, enabling growth and progress in society. Our community initiatives are designed to create a meaningful positive change. In the reporting period we began reviewing our social impact programmes with a view to identifying opportunities to have a greater impact, using existing capacity and through aligned partnerships. The programme is in the process of being refined to launch in 2019 and will amplify the capacity of both Barloworld Siyakhula and our corporate social investment (CSI) initiatives. It will support social enterprises, start-ups, university faculties, SMMEs and non-profit organisations (NGOs) who are solving localised societal challenges using financial models to scale, sustain and create employment opportunities. 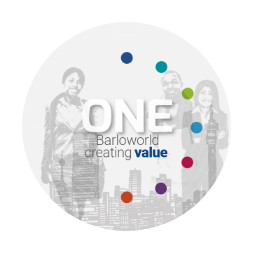 Barloworld Siyakhula will provide capital to the value of approximately R30 million over the next three years, with further financial and non-financial support from identified strategic partners to the programme.